In Oscar nominated film “The Help” director Tate Taylor, a Jackson native, wanted authentically Southern food to dress his set. He decided to recruit real Southern cooks in Greenwood, Mississippi to create the on-set food. No caterers or food stylists for Jackson… he wanted the real deal, women who had Southern cooking in their blood. 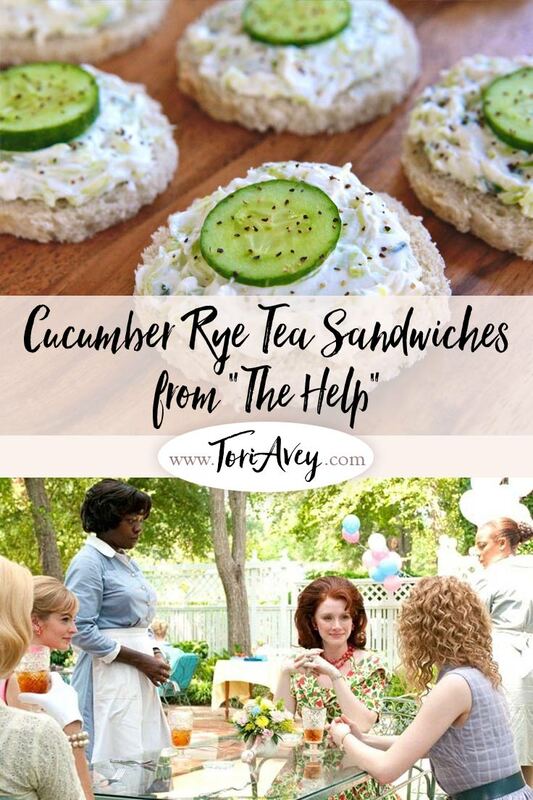 These Cucumber Rye Tea Sandwiches were a fixture on the set of “The Help,” and would make a fun addition to any Oscar party spread. “The Help” is a film adaptation of Kathryn Stockett’s novel of the same name. It is an inspirational story about a group of diverse, extraordinary women in 1960s Mississippi who build an unlikely friendship around a secret writing project. The film examines the complex relationships between African-American maids and the white families who employed them. Food plays a major role in the film. Because the story deals with race and class issues, the cooking is diverse– from chicken deep fried in Crisco to gelatin aspics to cocktail meatballs to collard greens, the food is a reflection of the social issues of that time period. Food and Wine provided the recipe for Flemming’s sandwiches, so I gave them a try. Chris Lowell was right! This is some tasty finger food. 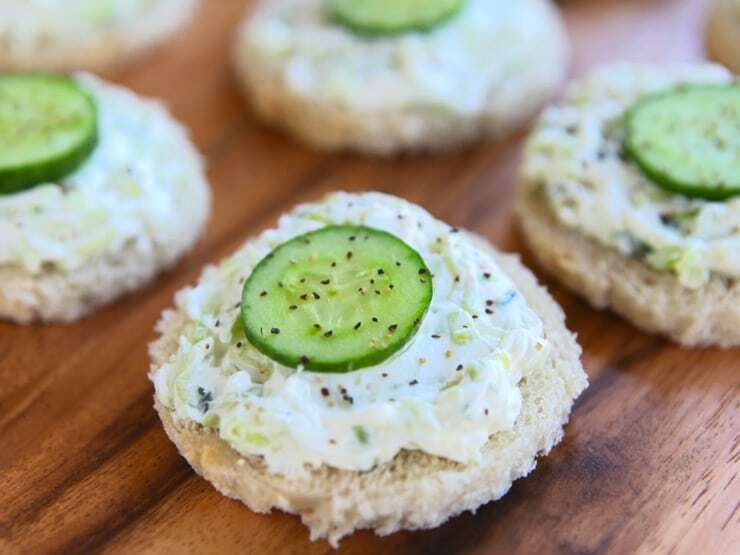 So in honor of the upcoming Oscar awards, here is one of Lee Ann Flemming’s recipes from “The Help.” They would make a terrific Oscar party appetizer, and a fun conversation piece now that you know the story behind them. 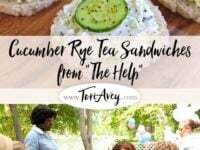 Learn a traditional Southern recipe from the Oscar nominated movie The Help - Cucumber Rye Tea Sandwiches. Appetizer, Finger Food, Kosher, Dairy. 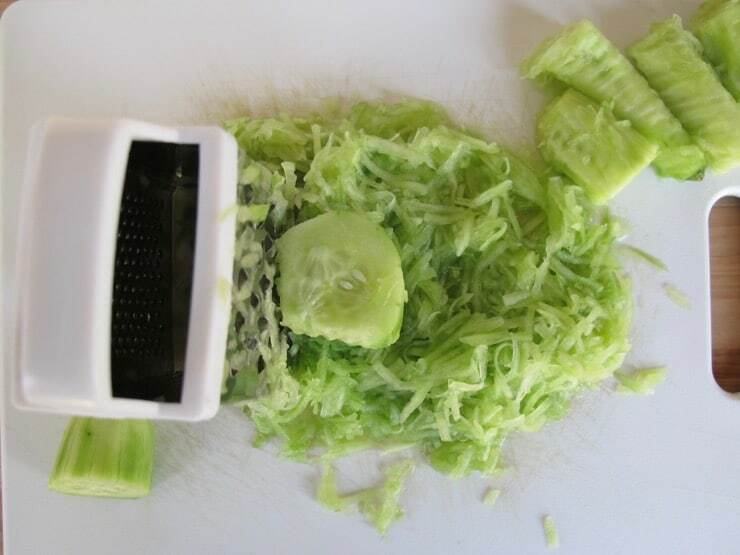 Using a box grater, coarsely grate the cucumber lengthwise, stopping when you get to the seedy center. 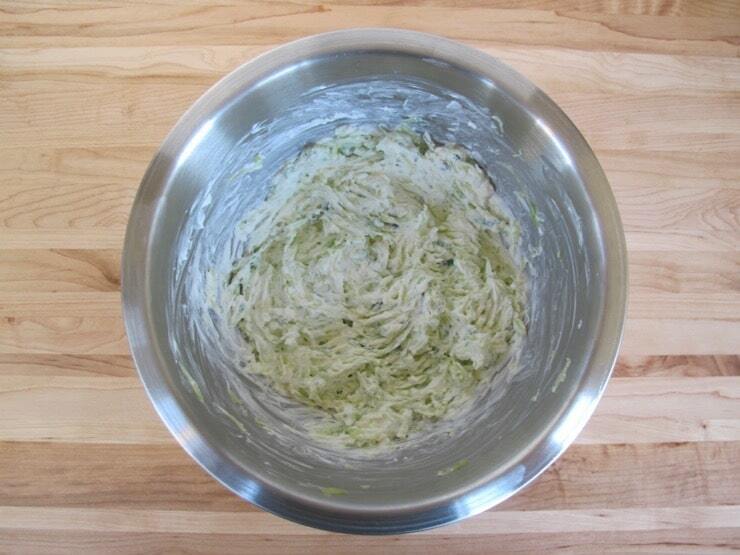 Transfer the cucumber to a bowl and stir in the vinegar, lemon juice, sugar and salt. Let stand for 15 minutes. 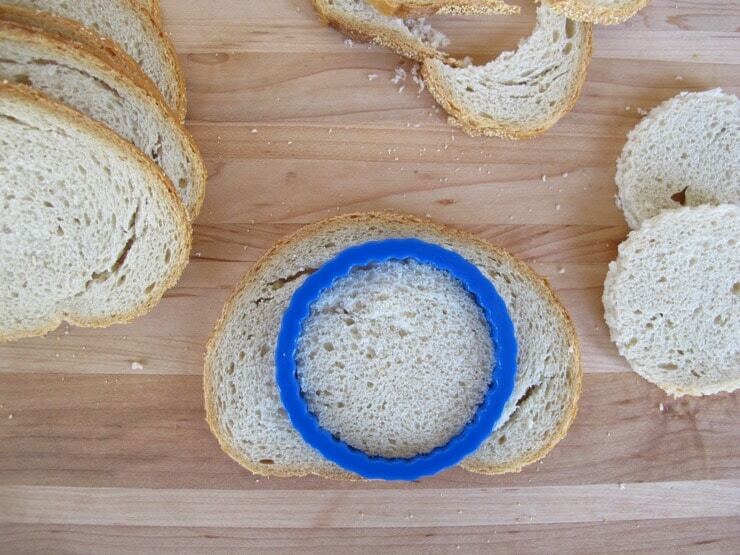 If using rye bread slices, use a 2-inch-round cookie cutter to cut out 36 rounds from the bread. Cover with a slightly damp towel. 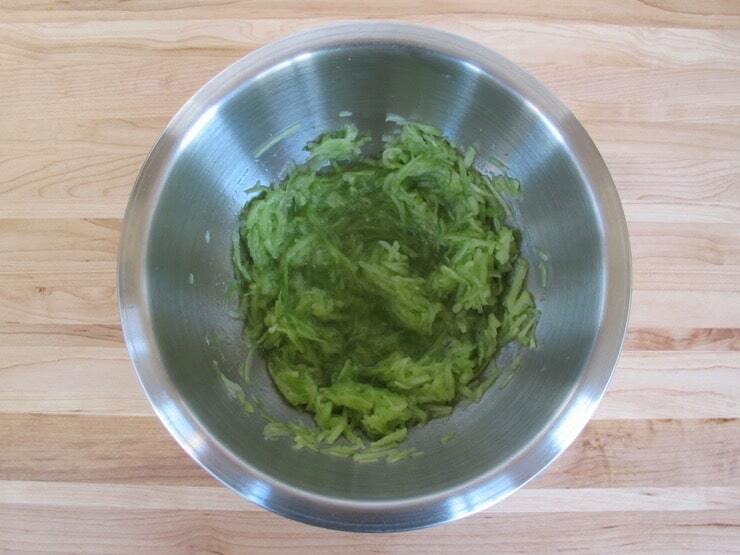 Transfer the grated cucumber to a colander to drain; squeeze out the excess liquid. Return it to the bowl. Stir in the cream cheese and scallion. 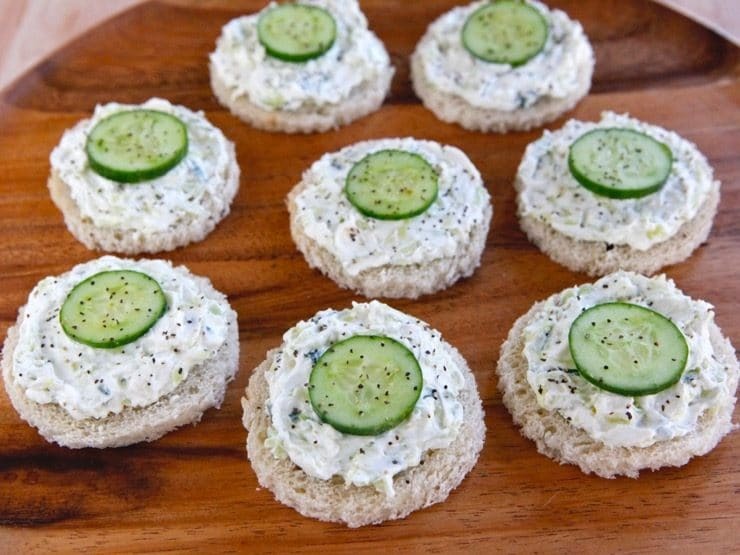 Spread the cucumber cream cheese on the bread rounds. 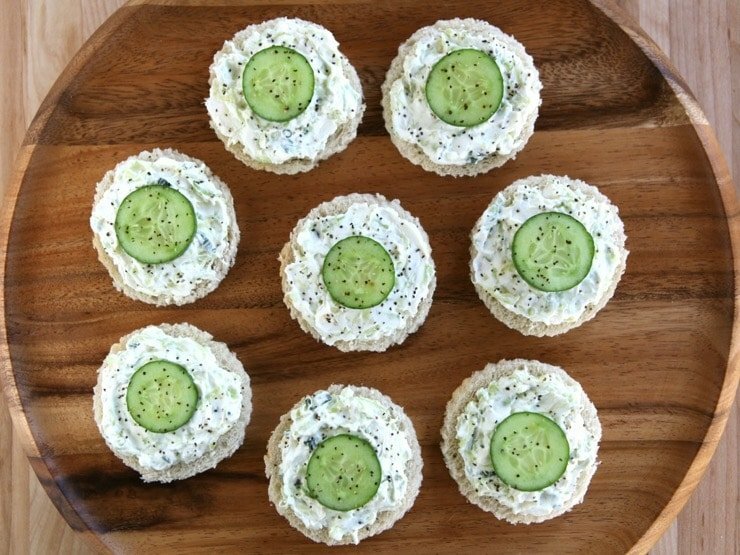 Top each with a Persian cucumber slice and arrange on a platter. Sprinkle with pepper and serve. 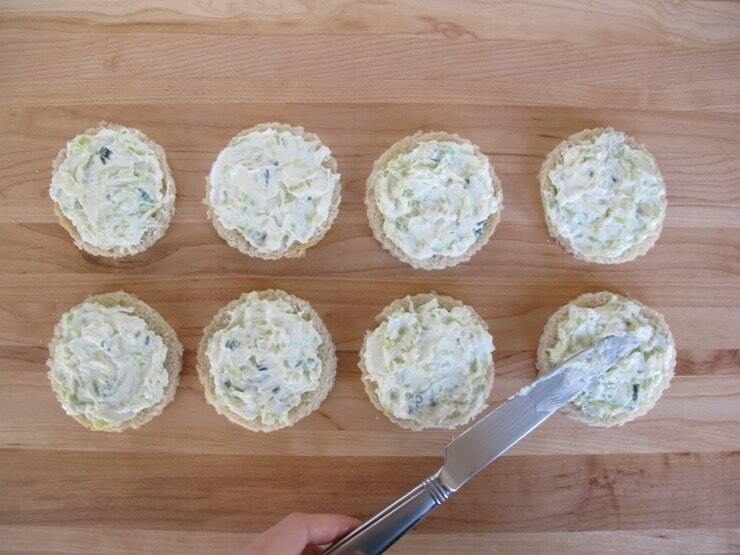 Make Ahead: The cucumber cream cheese can be refrigerated overnight. Return to room temperature before spreading. Thanks for another great recipe. I have a question about the persian cukes though. Are they just the small seedless “gourmet” cucumbers? Tori, these look lovely and delicious! As always, I love your stories. I just bought a kilo of cucumbers because they are so tiny and have a yellow flower on one side; was wondering now what to do besides eating them plain and this popped up! Thanks for the inspiration! Delicious, light snack! And so easy to make… Thanks for sharing. Tori – another winner here and I LOVE the photo! Thanks for sharing this recipe and story….sandwiches look scrumptious! These are so cute! Awesome idea. Looks very nice and elegant! 🙂 And wow on meeting Robin Williams!